Choose a different country or region to view content that is suited to your locality. A comprehensive listing of all Heidelberg Engineering Academy educational tools. Interactive and video tutorials to test your knowledge. Your individual learning history at a glance. Sign up for access to additional content! Tools to educate patients and promote your practice. A comprehensive collection of Heidelberg Engineering product pictures, logos, and diagnostic images. Your direct contact to our Service & Support team. When directed, enable remote support by our Service & Support team. Share files with our Service & Support team. 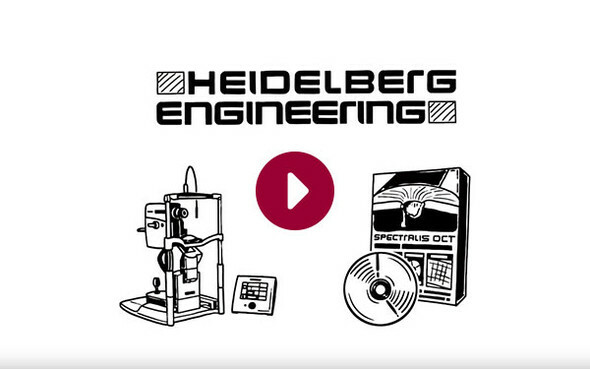 Frequently asked questions about Heidelberg Engineering products. User and hardware manuals for all products. The latest versions of product software for download. The latest news from Heidelberg Engineering. Come see us at upcoming trade shows and events. Register to receive the Heidelberg Engineering e-newsletter. Heidelberg Engineering Apps for smartphones and tablets. Complimentary digital e-books on clinical topics. Product information at a glance. Clinical applications of the SPECTRALIS. Highlights of published clinical studies. General information about Heidelberg Engineering. Contact information of your local Heidelberg Engineering sales representative. The SPECTRALIS® Glaucoma Module Premium Edition combines the proprietary Anatomic Positioning System (APS) with a series of unique scan patterns to assess the optic nerve head, the retinal nerve fiber layer, and the macular ganglion cell layer. 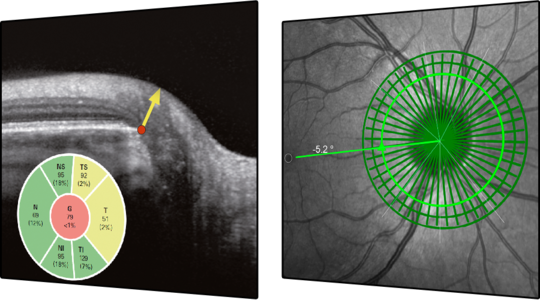 These APS-based scan patterns are automatically matched to each eye’s unique anatomic landmarks and to the characteristics of fine anatomic structures relevant in glaucoma diagnostics. The Glaucoma Module Premium Edition compares patients’ eyes to a reference database of normal eyes, noting even very small deviations. The precision of the SPECTRALIS AutoRescan function allows confident identification and monitoring of structural changes from visit to visit. Have you ever wondered how the SPECTRALIS can change the way your are managing glaucoma? Meet Dr. Jackson and see how he is using the SPECTRALIS OCT with the Glaucoma Module for early diagnosis and follow-up of glaucoma patients. 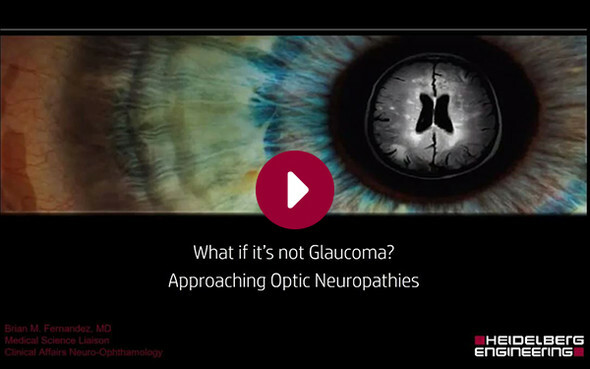 Approaching Optic Neuropathies - What if it's not Glaucoma? © 2019 Heidelberg Engineering GmbH. All Rights Reserved. Heidelberg Engineering continuously optimizes imaging and healthcare IT technologies to provide ophthalmic diagnostic solutions that empower clinicians to improve patient care. From its inception in 1990, the company has collaborated with scientists, clinicians and industry to develop innovative products that deliver clinically relevant benefits. Uncompromising quality and education play a large part in fostering the diagnostic confidence that has become synonymous with the global brand. The company's substantial expertise in the development and implementation of intelligent image and data management solutions complements its distinguished history in the design, manufacture and distribution of ophthalmic diagnostic instruments. Heidelberg Engineering's growing product portfolio combines these core technologies: confocal microscopy, scanning lasers and optics, optical coherence tomography (OCT), real-time image processing and analytics, multimodal image management solutions (PACS), electronic medical records (EMR) and data mining. Cookies are used on this website to help Heidelberg Engineering achieve an optimum design of the website and to provide better service. By using this site, you agree to their use. Read more.